Lying in the heart of the Great Barrier Reef, The Whitsundays Islands are made up of 74 tropical islands. On a handful of these islands there are some fantastic luxury resorts where you can holiday for a weekend, a week, or even a month. No matter how long you stay, you won’t want to leave. The resort islands offer a range ouf boating tours, beach activities, restaurants and bars where holiday makers can relax and soak up the tropical sun. There are also plenty of uninhabited islands where you can take a boat to explore sandy forests, walk along pristine beaches, bathe in warm tropical waters and simply kick back away from the crowds. The Whitsunday Island, situated between Bowen and Mackay, form a major tourism region with Hamilton Island (the only island with an airport) as the commercial centre. 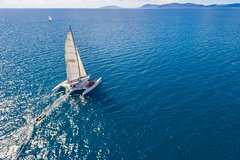 Attracting over 700,000 visitors per year, the Whitsundays is also known as one of the most popular yachting destinations in the Southern Hemisphere. The naming of the region is actually a bit of a misnomer that comes from Captain Cook’s naming the region Whitsunday’s passage. 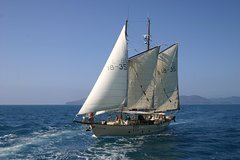 He believed their ship passed through the region on Whitsunday; the Sunday of the feast of Whitsun. As the International Date Line had not yet been established he had no idea it was in fact a Monday, not Whitsunday. The islands were originally a large mountain range formed as a result of volcanic activity. With the end of the last glacial period about 30,000 to 50,000 years ago, the sea levels rose and all that remained above the water were the higher coastal peaks. There are only a few islands that offer resort style accommodation where you can get away from the hustle and bustle of the mainland. Choose from resorts that are all inclusive, family friendly, eco-style, activity based, dining focused, or just offering the best in luxury treatment. 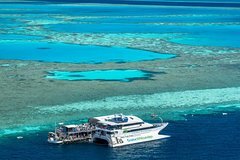 Staying on any of these islands places you in a prime position to take advantage of all the Great Barrier Reef has to offer. The island resorts can organise for you to join in any number of activities ranging from sailing trips around the reef, coral diving, trips to other islands, and there are even places where you can jet ski around the islands. Hayman Island Resort - Award-winning Hayman in Australia's magnificent Great Barrier Reef is one of the world's most acclaimed resort destinations and a member of The Leading Hotels of the World. Hayman presents a unique private island experience of natural beauty, tranquility and adventure. Brampton Island Resort – One of the larger islands, Brampton includes over 700 ha of National Parklands with 11km of walking tracks through hoop pines, tropical rainforest and coastal mangroves. There are 12 beaches to choose from and bays that are perfect for snorkelling. The resort offers a range of sporting activities, day spa services, fine cuisine, bars and live entertainment. 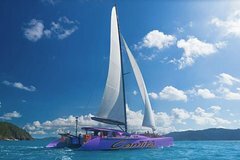 Hamilton Island Resort – One of the better known Whitsundays Islands, Hamilton Island offers over 80 activities and attractions for visitors to enjoy while staying on the island. It’s permanently inhabited but keeps 70% of the island untouched, so you can enjoy the 20km of walking tracks and unspoilt coves. There are a number of hotels and resorts to choose from, offering suites, bungalows and self-contained apartments. Daydream Island Resort – The Daydream Island Resort & Spa offers the most modern accommodation in the Whitsundays. There are hundreds of furnished rooms to choose from with seaside views, a number of restaurants, bars, and day spa facilities. This is where you go to really relax. Lindeman Island – Home to Australia’s only Club Med resort, Lindeman Island is the most southern of the Whitsundays Island and home to a golf course, excellent dining facilities, water sports and a range of other activities. There are almost 20km of maintained bush tracks so you can hike through almost 700 ha of beautiful National Park and even climb Mt Oldfield. 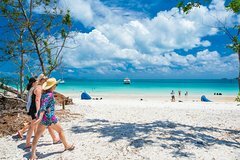 Long Island – The closest to the Whitsundays Mainland, Long Island is mostly National Park and has over 13km of bushwalking tracks around the island. There are three resorts on the island ranging from eco-friendly to luxurious world class. 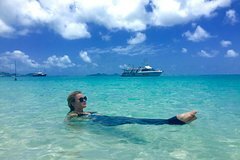 South Molle Island – Situated in the heart of the Whitsundays Islands, South Molle Island is home to one of the longest established resorts in the region. With plenty of outdoor activities and camp grounds, the resort primarilyu caters for backpackers and adventure travellers aged between 18 and 35. The majority of the Whitsundays Islands are uninhabited, either because of their small size or to protect the flora & fauna of the island. Many of these you can still visit for a day and there are plenty of tour operators organising tours to get you there. Enjoy walking the trails through these tropical forests or just spend a day relaxing on your own isolated beach. Henning Island – The whole of Henning Island is National Park but you can camp here with the right permits and the camp site includes toilets and picnic tables. The island was named after William Henry Henning from a ship called the Salamander. In 1866 he went ashore to do some shooting, unaware that there was an angry wild hermit on the island that hated visitors. The hermit shot Mr Henning through the eye from 70 yards, killing him but at least giving the island a name and an interesting back story. We can assure you there are no more hermits living on the island. Thomas Island – Part of the Lindeman group of islands, Thomas Island is visitable by boat with a safe anchorage on the northern side. The island is a National Park and while camping is allowed, open fires and generators are not. Whitsunday Island – While uninhabited, Whitsunday Island is the largest of the 74 in the island group. 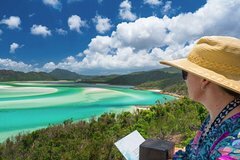 Known for the 7km stretch of pristine sand known as Whitehaven Beach, it’s one of the most popular islands to visit with plenty of walking tracks, coves, bays and lookout points. Camping is allowed on the island and there is even freshwater available for visitors.